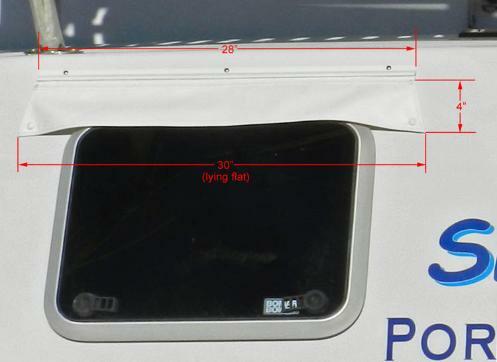 Flaps over aft hatches prevent drips (onto beds) when hatches are left open. Here are the dimensions of my flaps. 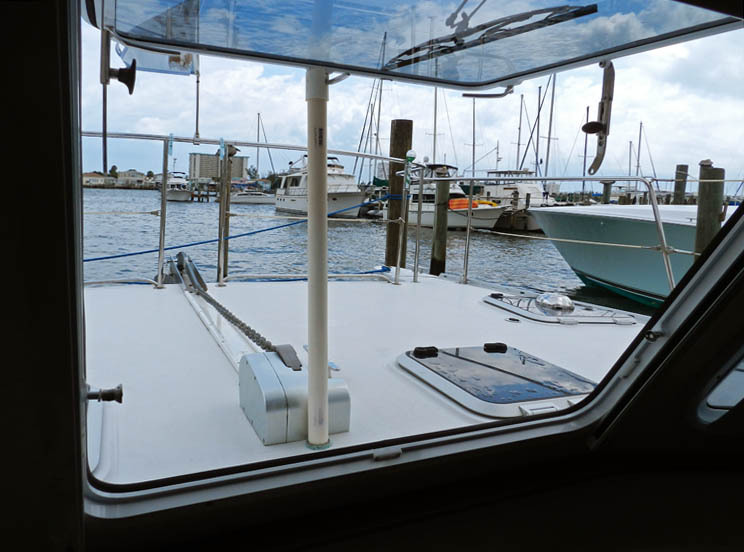 I gather this works only with the new style davits. Wide open window! Good for letting in the breeze when at anchor - good for Bahamas in May! 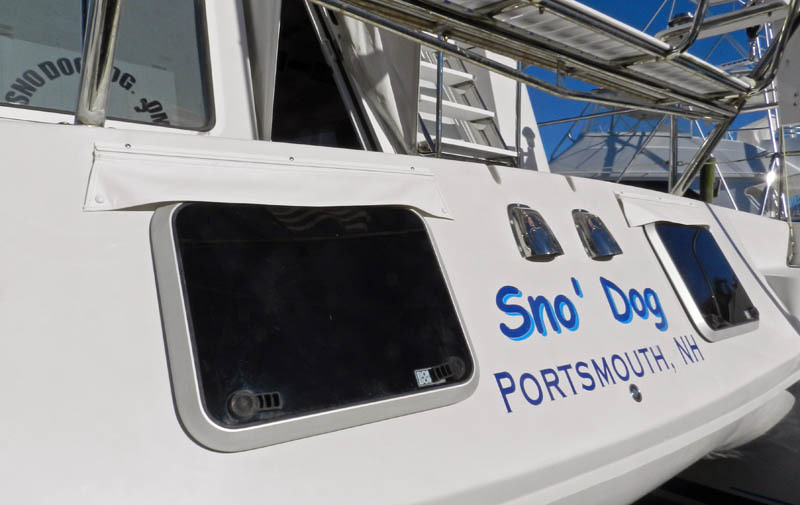 In preparation for the Exumas Adventure, I decided it was time to give Sno' Dog a wide opening front window. window handle. On the bottom there's a piece of carpet for padding. 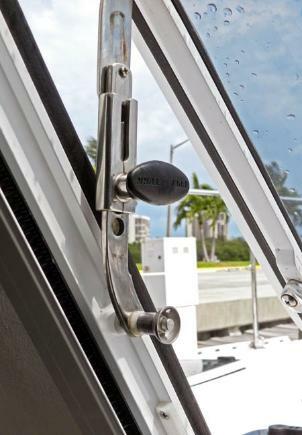 to use original partial-opening method, or to quickly release the struts and open the window fully. struts and fully open the window in a matter of seconds! 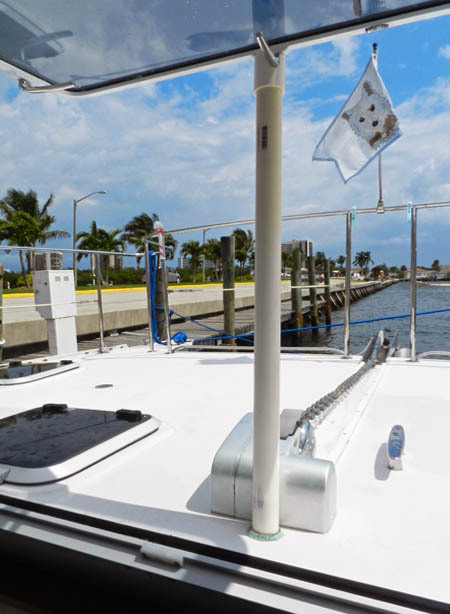 The support post in place - with notch at the top for the handle.